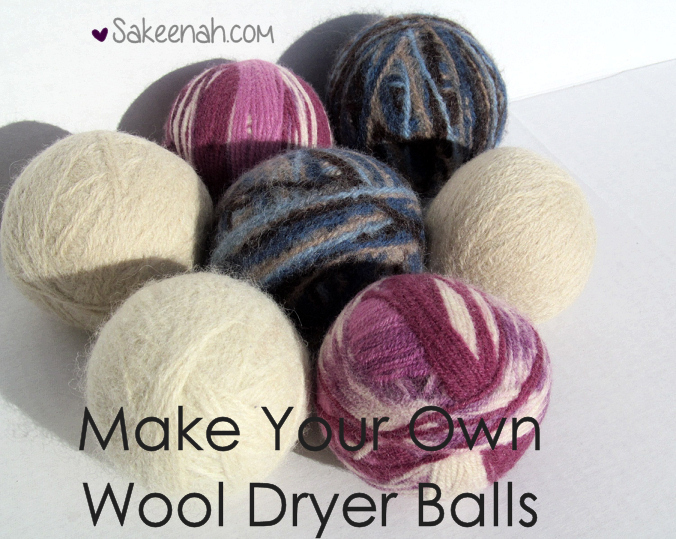 Have you heard of wool dryer balls yet? They are a safe and healthier alternative to fabric softener with an added benefit: they absorb moisture, reducing the drying time of your clothes, saving time and money! What’s best is they are easy to make yourself on the cheap. 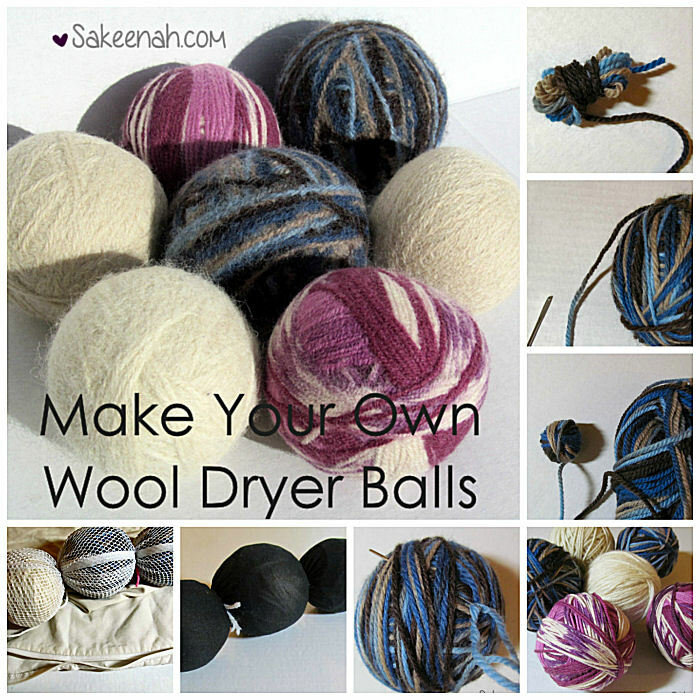 Do wool dryer balls really work? Yup, they sure do! For years I avoided store-bought fabric softener because my sensitive nose and skin couldn’t handle it. I was also worried about the toxic chemicals in fabric softener coating our clothing and getting into the water system. I used white vinegar in the rinse cycle but in the winter, I needed more help to beat static cling. 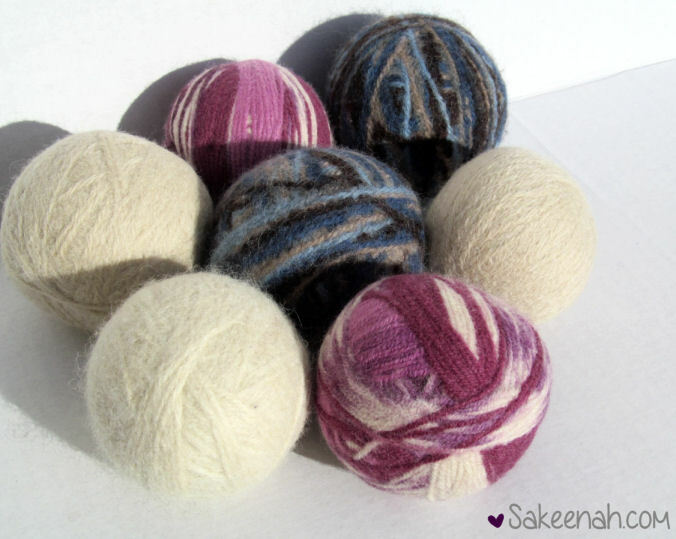 I picked up some wool dryer balls and have been happy using them. With a family of 5, saving some time drying clothes is no small savings! 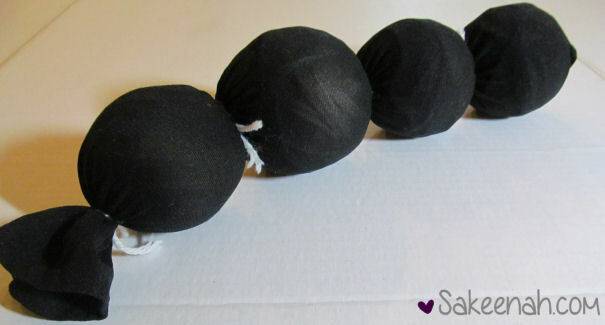 Follow this easy tutorial to learn how to make DIY wool dryer balls. Basically, you just wind up a ball of wool and felt it, pretty simple! 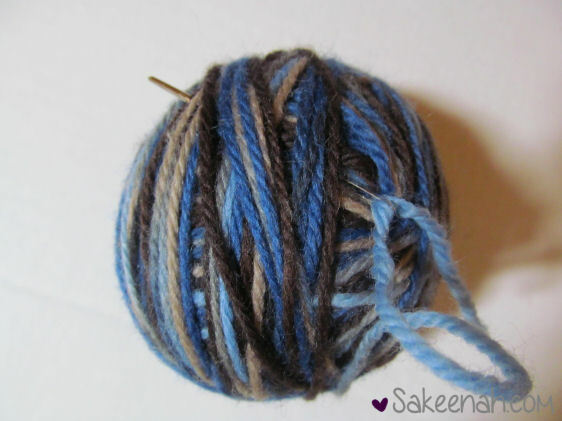 Wool yarn or another natural animal fiber yarn that can be felted. It has to be 100% wool and can’t say “superwash”. Here I’m using odds and ends from my stash: left over wool from the felted rug I just made, random thrift store and clearance rack wool. A lot of people like to use Lion Brand Yarn Fishermen’s Wool (where to buy) for this project. It’s cheap for the yardage you get. 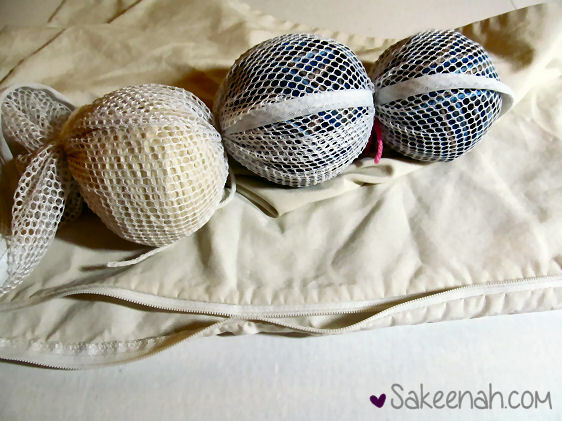 Nylons or trouser socks to hold the yarn balls together in the wash. Alternatively, you can use a mesh laundry bag. I’ll give instructions for both. 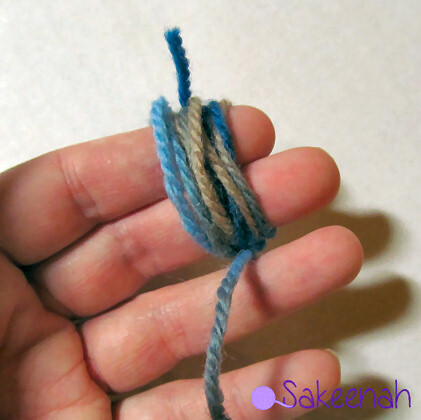 Start off winding the ball by wrapping the yarn around two fingers several times. Next slide the yarn off your fingers and wrap around the middle. 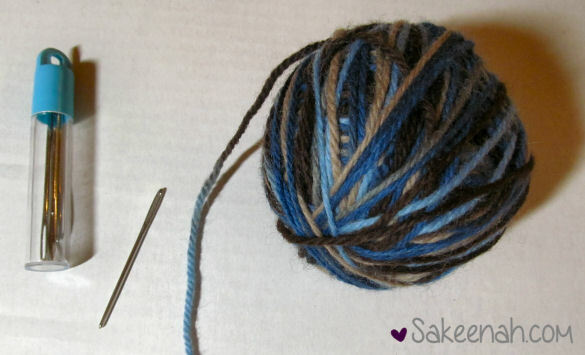 Wind the yarn until your ball is about the size of a tennis ball, a little larger if you want. Get you scissors and tapestry needle ready. Cut the yarn and thread the end through your blunt end tapestry needle. Weave the tail in and out of the ball a few times. 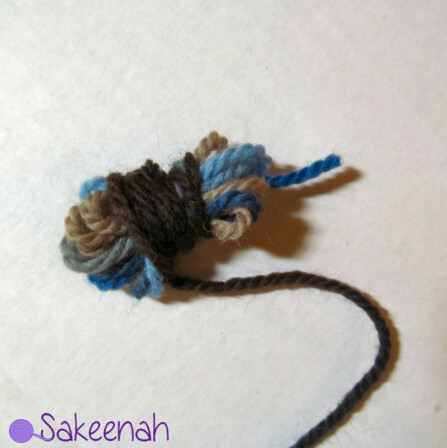 This is to help it from becoming unraveled in the wash.
Make a bunch more! Four is a good number to use at once, and dryer balls are fun to give as gifts to your crunchy friends. 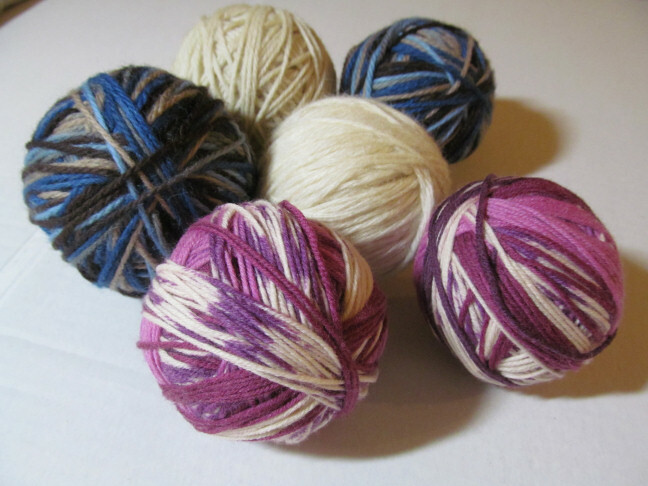 Place the yarn balls into nylons or trouser socks one at a time. 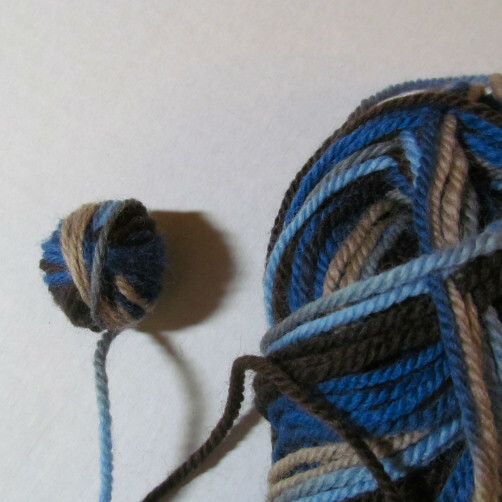 Tie non-feltable yarn in between each ball. Please, don’t skip this step! Securing the yarn balls in the nylons or mesh bags prevents them from coming unraveled in the wash and having to deal with a felted yarn barf mess in your wash machine. Not fun! You can felt wool dryer balls without nylons. I really wanted to figure this out because it’s greener. The nylons will get fuzzy from this project, so it’s best to use a new pair just for this project. I felt it was a tradeoff to buy synthetic material that will never biodegrade to help green up my laundry routine, so I also tried out using a mesh laundry bag. I just did the same thing: placed them inside and tied with yarn. But since the mesh has holes, I also put it in a zippered pillow case to contain any lint the felting process makes. Place in your washing machine with jeans or towels to provide agitation. Wash on hot many times. It took me 5 washes for the balls to felt. You can check the progress by untying the first part of your nylon “snake” and taking a peek, or poke your finger tip through the mesh and see if the yarn strands are stuck together. Optional: place a few drops of essential oils, like lavender, onto your dryer balls for a nice scent. And you’re done! Here’s how mine came out. A note on using the mesh bag: I have to give a little tug to get one of my yarn balls out of the mesh bag, as the felted fabric was gripping the mesh. The dryer balls that I made in the mesh bag were also a little fuzzier. Here’s one I made in the mesh bag so you can see. If giving as gifts and you don’t like the fuzziness, use the nylons or simply go over the ball with a lint shaver. Will you make this project and green up your laundry routine a little? 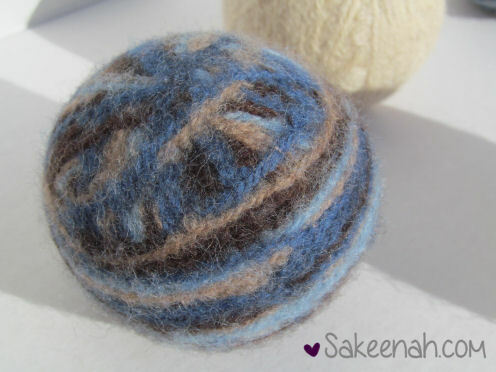 I’d love to see the yarn or roving you chose for this project and see your finished dryer balls. Post a link of your project or let me know in the comments! Like this post? Use this image to pin it! Or Repin here. Want more laundry tips? Check out 10 Laundry Tips That Will Lighten Your Load from my friends at Ummi’s House. Cool idea sis. Thanks for sharing! This was a wonderful tutorial. They look so colorful, on top of being useful. I have a daughter who is allergic to wool. 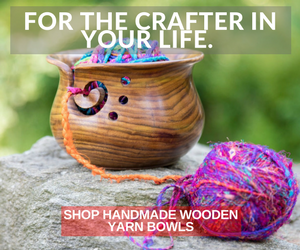 Does the process take out any irritants, or would you recommend another method or yarn type? Hmmm…I don’t think it would be good to use these then as they may shed a little at some point. I have never noticed lint on any of my clothes from these dryer balls, but if it’s an allergy even a small bit you can’t see might irritate her. I have read balls of aluminum foil will work too. That might be easy for you to try. Great post! I’ll try making some dryer balls. Thanks a bunch for linking to Ummi’s House.